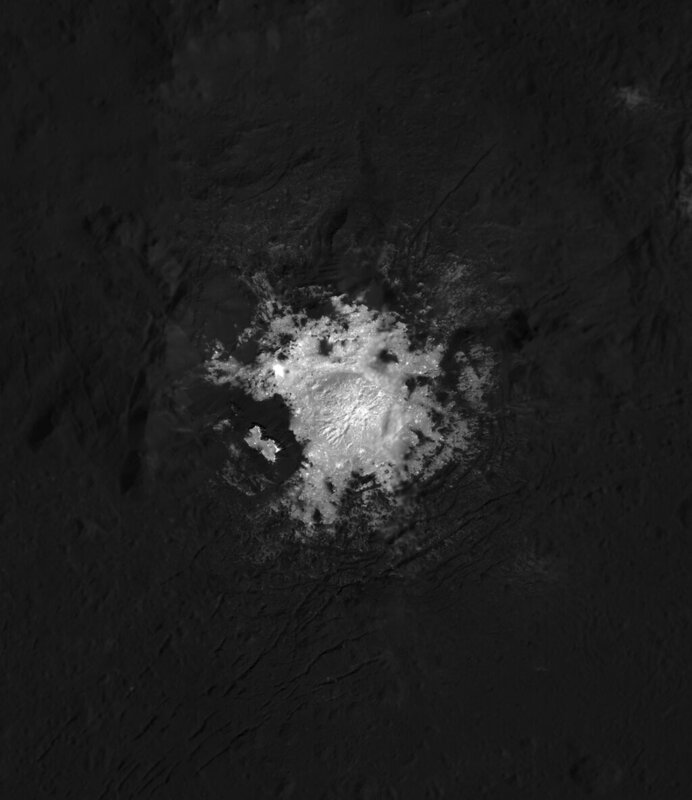 The volcanoes on Ceres are cryovolcanoes, a type of volcano that forms on planetary bodies with icy shells and that moves salty water known as cryomagma from underground reservoirs to the surface. Scientists think that cryovolcanoes on Jupiter's icy moon Europa could help foster chemical mixing that could make complex molecules needed for life. 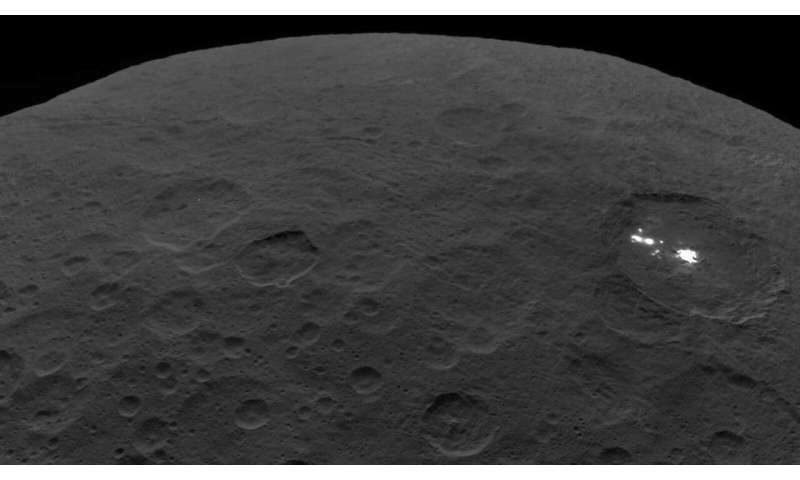 Learning more about how these volcanoes work on Ceres—which is a simpler geological environment than Europa—could help scientists get a handle on the primary forces that drive their activity. 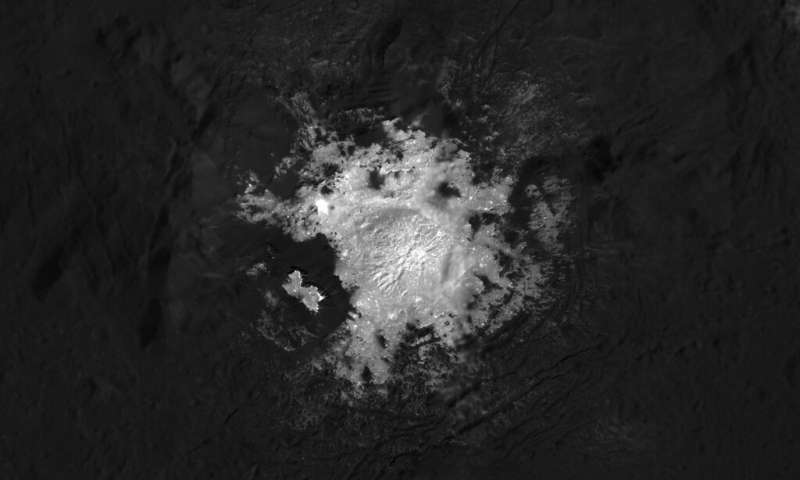 The new calculations indicate that the cryomagma of Occator could last up to 10 million years—a value that doesn't close the time gap completely, but that indicates that the additional data helps make a more realistic cooling timeline. "Now that we're accounting for all these negative feedbacks on cooling—the fact that you release latent heat, the fact that as you warm up the crust it becomes less conductive—you can begin to argue that if the ages are just off by a few million years you might get it," Hesse said.